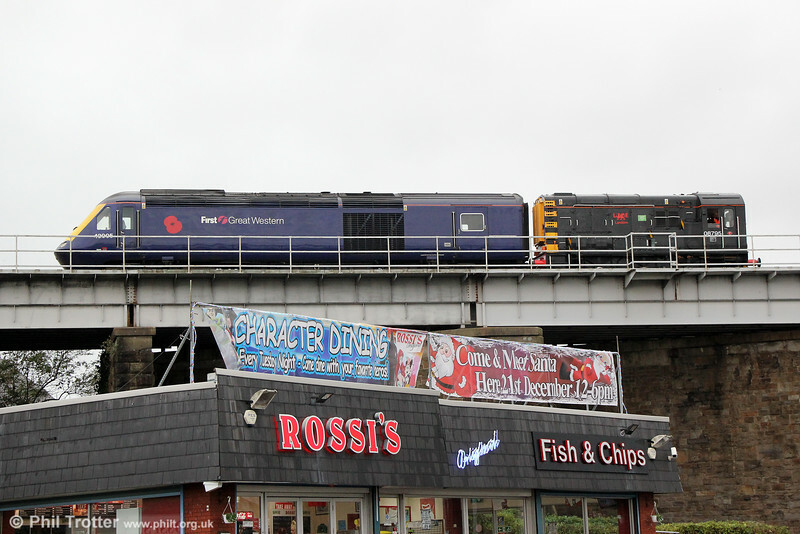 Views of the UK modern rail scene taken during 2014. Photos are listed in loco/unit number. In order to turn 43005 on Landore triangle, Landore's immaculate 08795 is seen on Landore Viaduct on 13th November 2014. Chips, anyone?